It’s been another furious year of touring and music making for The Young Dubliners. But, The ‘Dubs’ promise to squeeze Colorado into their busy schedule to perform one night only at the Colorado Irish Festival on Friday July 13. The fan support for the Dubs’ new CD highlights the fan loyalty the band has built over the years. Some folks might recall when the California based band first played Denver years ago. It was down at the original site of Nallen’s Irish Pub on California Street. John Nallen had been playing the bands CD at the pub, turning a lot of people on to the sounds of Dublin native Keith Roberts and company. When the word got out that the band was heading to Colorado there was a good deal of excitement and a full house waiting. However, there was a hitch. The Dubs were Nallen’s first touring band, understandably they assumed that the band was caring sound – but they weren’t. The band gained fans without even playing a note with their ‘Stay calm and Hooley on’ attitude. It was quite a display of determination and technical ingenuity on the Dubs part. Somehow just enough equipment was rigged together to give it a go – and what a night of music! 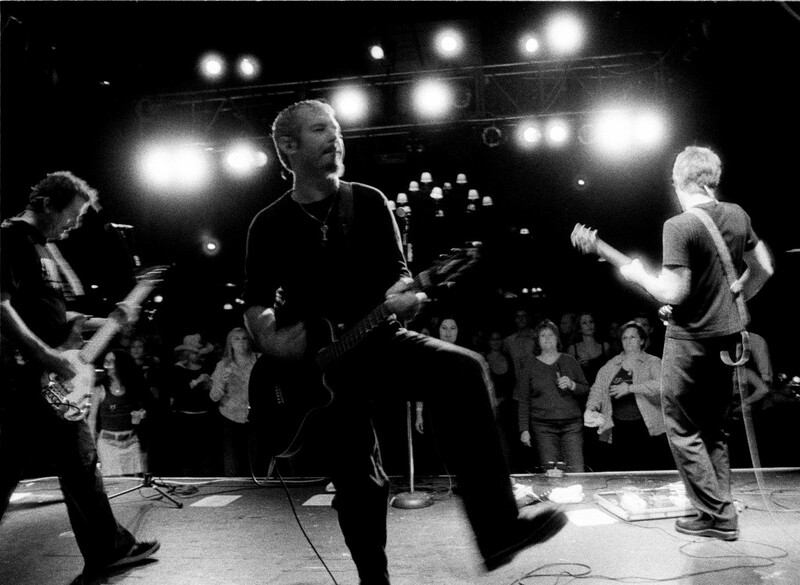 The energy and talent of the band and Keith’s abilities as a frontman, forever impressed their new fans. Since then they’ve been rockin’ up and down the Rockies building fans all the way. 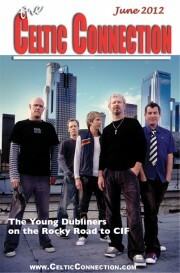 The Young Dubliners will headline a high energy night of music when they return to the Colorado Irish Festival Friday, July 13th , where they will join friends, The Elders, The Brazen Heads, The Fighting Jamesons, and others. And, their fans should be thrilled to know that they can get in free if they arrive at the front gate between 5-6P – that could be the best musical deal in the country! So will the Dubs give us a little taste of the new CD at the fest, or should we brace ourselves for the reload and fire of ‘The Irish Sessions’ album as they’ve done recently? Irish dance has now been in Colorado long enough for daughters of the early dancers to have become dancers themselves. One such combination is Linnane Wick and her daughter Marisa Joseph. Born in Denver with grandparents from County Clare, and named with her grandmother’s surname, Linnane was introduced to Irish dance when she was 10 years old and Pat Minehane facilitated all of the Denver Irish dancing. From there, Linnane progressed to instruction with the McTeggart School when their classes were held here in Denver during their “circuit riding” days before opening a studio. Blessed with natural talent, a passion for the dance and supportive parents, she began competing in her first oireachtas at 14, ultimately going on to win the U.S. Western Regional Championships in 1982 and 1986. Her brother Regan, four years younger than she, began dancing when he was 8, and during many summers, their parents would take them around the country to participate in feisianna (dance competitions). They competed in the Worlds where Linnane was called back several times for the final round and Regan finished fourth on two occasions. At 16, she lived in Dublin for a summer where she danced with the daughters of her host family around the south of Ireland and learned much about dance, herself and the differences in amenities between Ireland and America at that time – the best lesson for her was “… that you can really live with less.” Returning to America, she began taking classes from Tim O’Hare of Detroit/Chicago, learning from the different offerings in his school. Linnane went on to dance professionally with Cherish the Ladies for 4 years and with the Green Fields of America troupe for another year. With them, she was able to visit the Celtic region of France, Canada and Ireland, among other places, as they logged thousands of travel miles. In Ireland, the troupe appeared on the Gay Byrne Television Show. In 1993, she was part of the cast on Cherish the Ladies’ The Back Door album. On another occasion, she was in the troupe that performed at the White House for President Clinton and his guests. In the late 1980’s, she began teaching in her parents’ basement. Within a year, she was working out of a studio. A few years later, she reached the point where she had to choose between touring and having a family and dance school; she chose the latter and began teaching full time. The knowledge gained from the McTeggart and O’Hare Schools, her time in Ireland and her professional experience have blessed her with tools and insight that she brings to teaching today in her studio in the Denver Tech Center, along with classes in Golden and Highlands Ranch. Classes are held daily and with the aid of assistants, 170 students a week ranging from children through adults (who call their classes “two t-shirt workouts”) learn and grow. Now she hopes to enlarge and make more efficient use of her studio space. In the meantime, she is preparing her students for the Pikes Peak Feis this month and the North American Irish Dance Championships to be held in Chicago over the Fourth of July weekend, to which she will take 15 to 20 students. . Her students have danced for several years in the Denver Brass “Bagpipes and Brass” concerts and competed well at all levels around the country. Students from her school have won more than 25 Western U.S. Regional Champion titles and several have placed as high as 4th in the North American Dance Championships. Each spring for the past 20 years (except in years when her children were about to be born) she has traveled to Ireland for the World Championships. Given her trips there as a student, competitor, performer and dance teacher, Linnane has been there over 50 times, and has easily spent more than a year of her life there. Each time she returns, she is reminded of how amazingly kind and welcoming the Irish people are and how they always have time for a cup of tea. In addition, her daughter, who is 11 and has been a regional champion herself, was able to participate in the Worlds in Dublin last year and Belfast this year. Through it all, Linnane has come to realize how much Irish dance and music are a celebration of the culture and how privileged she is to be part of something in which everyone feels happy and can participate. She invites all to join in and spread the joy of Irish dance. For information on classes and performances, call 303.987.2427 or visit www.wickschool.com . Co-ed Hurling League, Sundays 3pm Clement Park Littleton. The Hurling League resumes next Sunday June 3rd at Clement Park after a hiatus of a couple of weeks due to the Albuquerque trip and the Memorial Weekend Holiday. The players are chomping at the bit to get back out and pick up where things left off before the break. The competitiveness and team spirit has been fantastic with all players both Veterans and New Players raising the skill level and intensity each week. The camaraderie has been fantastic even though the competition is fierce, with fair play and respect on and off the field. Each of the four teams look fantastic kitted out in their new jerseys and we have the largest number of players we have ever had in the league. After two weeks of play 2012 Hurling League Standings have unbeaten Dougherty’s Irish Pub in first place edging past the unbeaten Celtic Tavern with a total point count of 21 to 20. Scruffy Murphys were 3rd and The Fainting Goat 4th. Co-ed Football League, Fridays 7pm Infinity Park Glendale. Hurling: Tuesdays and Thursdays at 6:30pm at Clement Park in Littleton; Football, Men and Ladies: Wednesdays at 6:30pm at Cook Park in Denver; Football Men: Sundays, 1pm Clement Park Littleton; Camogie (ladies): Thursdays, 6pm City Park in Denver next to the youth fields. As we have done for the past number of years, the Denver Gaels made the trek south to the Rio Grande Celtic Festival in Albuquerque on May 18th. This year the focus was men’s football and we were hosted by a very strong team of Irish Lads form the Intel facility in Albuquerque. This was our first competitive football game of the year and we were eager to test our mettle against a very experienced Intel team. We started off brightly and both sides swapped points and were neck and neck right through the game. A superb effort by our new goal keeper David Leflar kept us in the game and the teams were tied right up to the last few minutes when a late goal from a series of passes gave the Intel team the win. After a break of a couple of hours a second game commenced. Denver started brightly in an effort to make up for the previous loss and remained competitive until the second half when the superior numbers on the Intel team plus their level of experience saw them pull away and take the second game also. That night both teams met up at Dirty Burbon’s in Albuquerque for some libations and where many showed their skill on the mechanical bull. There may be some transfers in the future to the Pro Rodeo Tour. After a bit of a hiatus, we are happy to announce the RE-LAUNCH of the Denver Gaels Youth league! Starting up on Sunday, June 10th from 2-4 pm we will be starting to build the new team. We are currently focusing primarily on Gaelic football, but we will have a few small clinics here and there to introduce the youth to hurling/camogie. This summer is a building summer. 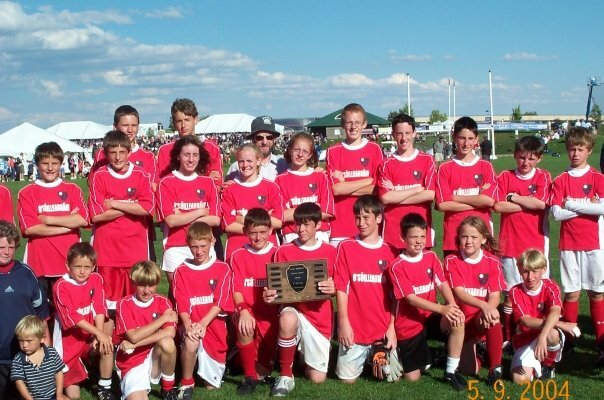 We are focused on laying a strong foundation so that NEXT summer (2013) the Denver Gaels Youth league will be a force to be reckoned with at the national youth conference! Since this is a building year, we strongly encourage ALL youth (both boys and girls) between the ages of 8-17yrs to come out and try their hand at this wonderful Irish sport! No need to be shy or worry about not knowing how to play, we have expert coaches that will be working from the basics up and teaching your youth how to play. The best part about this league. . . it’s F-R-E-E. Simply show up with water, sunscreen, and good running shoes/cleats. We will be meeting on Sundays (starting June 10th) from 2-4pm at Clement Park in Littleton. We will be on the fields nearest the library. Please come and join us for a summer of fun, free Irish sports! For more information about our league, you can contact us at denvergaelsyouth@gmail.com or visit our website www.denvergaels.com/youth . Alan O’Gorman, owner of the Irish Rover pub and restaurant will beat the drum 7 times in June to commemorate the number of years open for business in Denver’s popular Baker Neighborhood He might beat the drum an extra 3 joyous times because he has tripled the size of his 54 South Broadway location with a rooftop bar/ restaurant, party room, and new kitchen. The opportunity for the improvement became possible when the space next door to him became available explained Alan. “I always wanted to do a rooftop but learned that it is very difficult to do structural work to existing Rover premises without having to shut down completely while under construction. It was a great opportunity to do it when the space next door became available. Also, we lacked an adequate size kitchen in the Rover to do more than a limited menu. Now we can offer significantly more on our menu. With the expansion we’ve added a private space which I hope to book private parties such as birthdays, weddings, and perhaps use as an overflow room on special occasions such as ST. Patrick’s Day. Before the proverbial ribbon was cut opening the rooftop oasis, a small ceremony took place as Father David gave the Pub an official blessing. A number of well wishers in the pub business stopped for a toast said Alan. “John and Una Nallen from Mayo, who I believe put Irish Pubs on the Map in Denver being that they opened the first true Irish Pub in Denver back 20years ago or so -great pub, great pint, great people!” Other attendees included Glen Eastwood GM of Fado Irish Pub, Wes Ingram, owner of Dougherty’s around the corner, and Tommy who now works for Crispin Cider. 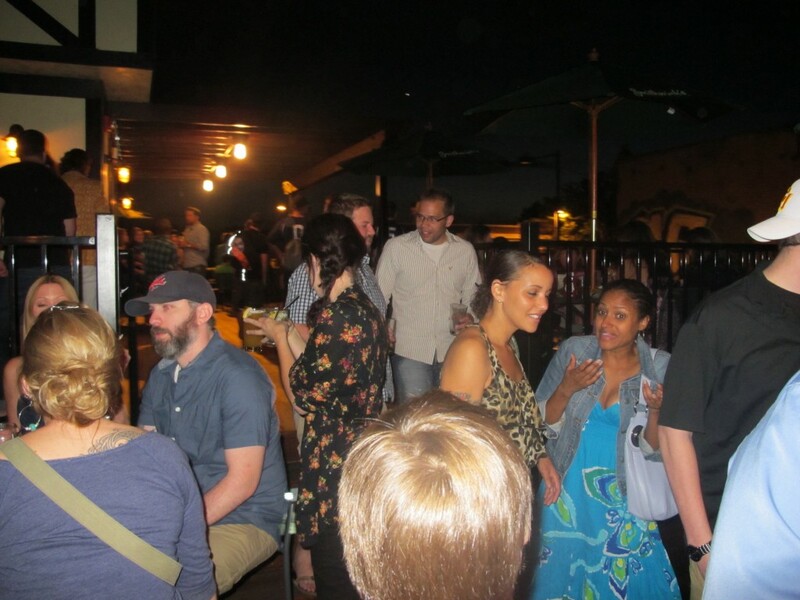 Friends in the neighborhood also stopped by the rooftop to show support. “It’s great to see how well the neighborhood has reacted positively. I am very fortunate to have a neighborhood pub in the Baker Neighborhood. Baker has everything great restaurants, great music venues great galleries, great bars, great coffee shops etc. 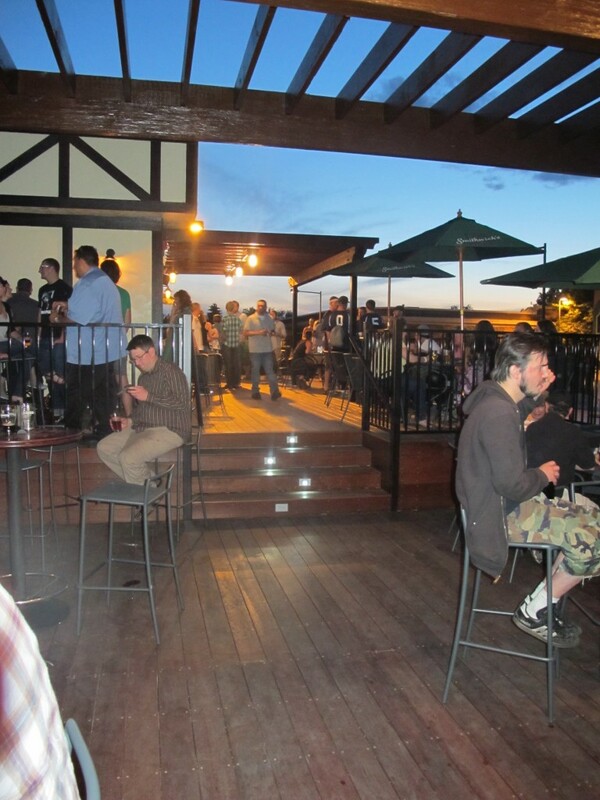 etc.” And now they have a great rooftop! 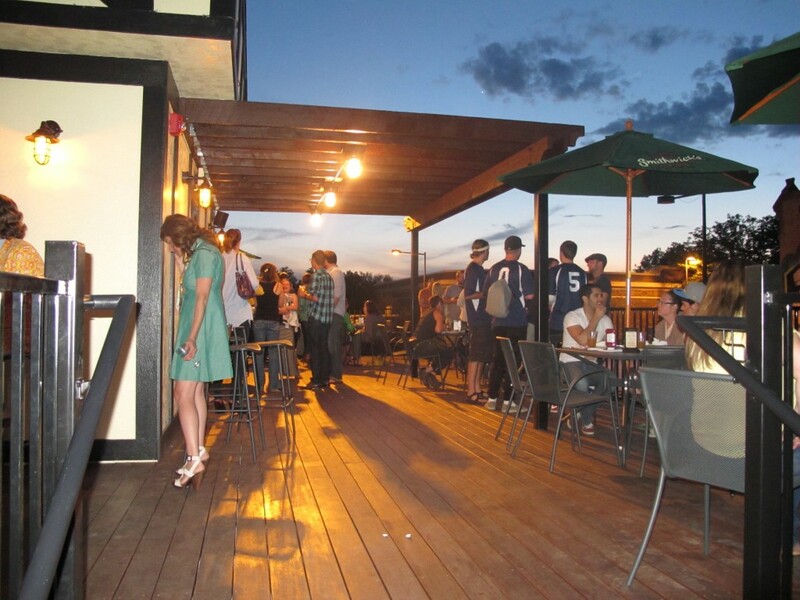 The rooftop and kitchen are open now. The official grand opening will be in mid June. Call the Irish Rover at 303-282-4643 for details. Ireland is ready and waiting for you – You just need to get there. Before you go, set your itinerary as precise or as carefree as you need it to be. No matter where you travel on the island there will be accommodations to fit your needs. find booking as you go an adventurous way to travel. Unencumbered by specifics can be freedom for some but daunting to others, so know your personality. ‘A Hundred Thousand Welcomes’ (Céad míle fáilte) is not just a clever Irish slogan. Folks in Ireland’s travel industry go out of their way to help you and are proud of their worldwide reputation for Irish hospitality. To illustrate my point I will share one of many great experiences with this phenomenon. Outside of Galway we were driving along a shore road in a “me and you and a dog named boo” frame of mind when we realized it was time to find a room for the evening. The night darkness was setting in quickly as rain and wind came across the Atlantic. We drove into the first B & B just as the owner was outside locking the door. We learned that he had just finished cleaning up from earlier guests and was heading to his home. With a smile on his face and no bother at all he brought us in from the storm. After calling his wife to tell her that he would be late, he proceeded to build us a turf fire, and served up hot tea with smoked salmon and Irish brown bread. Now where in the world do you find that warmth and friendly treatment of complete strangers? Ireland! B & Bs are plentiful around Ireland in country, town, and urban settings. More often then not they suit my needs and budget. When you stay at a B& B, usually you are staying in someone’s home and your host and family live on site. They are a wealth of information and are willing to educate you about their locality and give you insider tips on what to see and do, complete with directions. As the acronym implies, your accommodation includes a bed and breakfast. Most rooms are en-suite (with bathrooms). You’ll often find a sitting room in the home designed for your comfort to read or check the internet. A sumptuous homemade breakfast will fuel you for the better part of your fun day ahead. Hostels and Camp & Caravan are awesome options to help keep on budget as you travel through Ireland. Both are good ways to meet up with fellow tourists and share travel stories or learn about someone’s home country. Amenities are more communal in nature so kitchens or cooking areas are self catering and shower areas have privacy controls but are often shared at central locations. Most Irish hostels have a selection of dorms and private rooms, and some private rooms offer en-suite facilities. Camp and Caravan sites number around 200 in Ireland. Whether you arrive with caravan, a motor home or a tent, you well enjoy up to date camping facilities. Facilities usually include family areas for indoor and outdoor activities. Camp & Caravan and Hostels both have curfews, so if you are a late night party animal when on vacation you might pick another type of accommodation. Both are very popular especially May through October, so book in advance. The Irish Cottage can be a cozy base camp and another low-cost travel alternative, particularly if you are with your family or a group, and you want to hunker down and spend a longer time in one area. Self-catering cottages have full kitchens and can be your “home away from home” while allowing you to spend more time relaxing and exploring Ireland instead of changing accommodations every night. Choose from traditional Irish cottages, modern apartments and chalets in villages, towns and cities all over the country. Irish Guesthouses offer a viable alternative to traditional hotel accommodation in Ireland. Family-run guesthouses are all around the island conveniently located in urban and rural settings. Guesthouses are somewhat of a cross between a B & B and a conventional hotel, combining a homey personal touch with some hotel offerings like evening meals and a bar. Manor Houses & Country Hotels are comprised of a unique collection of individual family run properties united by their owners’ commitment to traditional hospitality and service. Sourcing local food and working with farmers, fishermen and food producers they bring the best and fresh to your dining room experience. These boutique hotels can be found in idyllic settings throughout the country. All provide stylish accommodations and luxury experiences. Castle Hotels would be ideal for the special occasion with the special person. 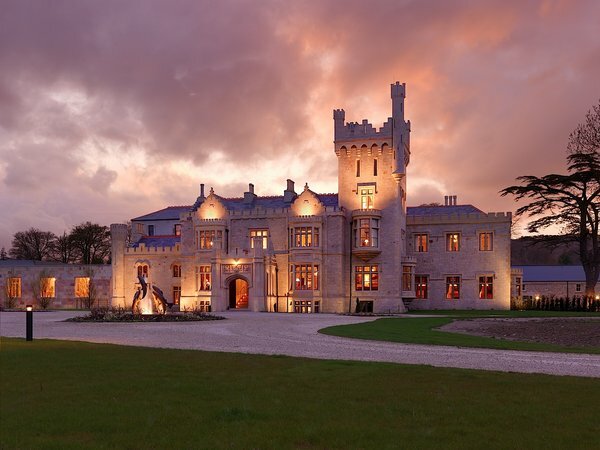 Living in the lap of luxury and in the shadows of history could be the ultimate Irish experience that could spoil you forever – but go ahead, you only live once! There you go, as you can see accommodations for tourists in Ireland are bountiful and brilliant! Now it’s up to you to decide what suits you best. Make sure that you understand if your booking price quote is per person or per room/accommodation; Most guesthouses accept credit cards but may charge a fee for this service, cash payments may be cheaper; Multiple night stays sometimes earn special discounts; In general you can go as cheap as $20 for a hostel and all the way up to – well a lot, for a room at a castle (but worth every penny). Costs can fluctuate depending on time of year, special events and other variables that effect availability. And, the best tip I can give you is to go to discoverireland.com where all of your accommodations and vacation plans are made easy. So get your plan together and jump into action! The world premiere of “The Oscar Wilde Experience” comes to the Byers-Evans House June 1- 23. Performances are Fridays and Saturdays at 7:30 p.m. at The Byers-Evans House Museum, 1310 Bannock Street, Denver. The cast, under the direction of Wade Wood, includes Bevin Antea, Terry Herron, Sarah Mac, Brandon Palmer, Mike Pearl, Melissa Pear, Maggie Stillman and Joey Wishnia. The show takes place in the library of the historic Byers-Evans House Museum, amid the Evans family’s furnishings. The room serves as the stage and creates the atmosphere appropriate to the historic nature of the readings. 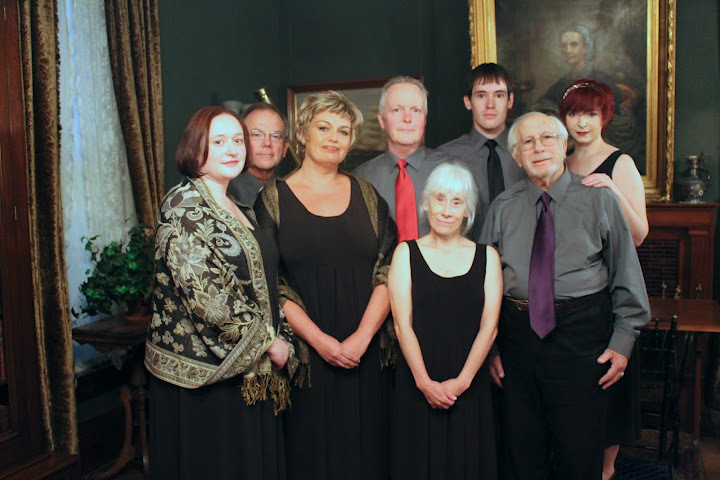 The museum has always supported local theatre by serving as a venue for various small companies. A tale woven from the short stories, novellas, and poems of Oscar Wilde. June 1 – 23, Fri./Sat. & Monday, June 11 at 7:30 p.m. The old American West has long been sentimentalized in story, song and film, but this book does none of that. It portrays a sorrowful world with widespread violence, mortal infections, short life spans, and few creature comforts. James Mic Regan’s book, comprised of historical research, legends and his grandfather’s stories, presents a fresh look at James Butler “Wild Bill” Hickok, a Union Civil War veteran born in 1837. He was also a drifter and a hard-drinking, gun-slinging, poker-playing peace officer in the West who came up against members of a far-flung Irish gang out of New York City. Around 1850 an Irish clan of Kellys formed a violent gang of robbers and killers in New York City. Products of extreme poverty and criminally dysfunctional families, they sported tattoos of dead rabbits impaled on spears and left actual dead rabbits on enemy corpses. Many joined the Union Army’s all-Irish regiment (the New York Fighting Sixty-Ninth) and some were incorporated into the Irish “WHYOS” gang of New York after the war. Some enlisted in George Custer’s Seventh Cavalry as the “Irish Avengers.” One-third of Custer’s soldiers were Irish, and most identified themselves as Dead Rabbits or Irish Avengers with roots in New York. James Mic Regan asserts that these Irishmen “plotted, carried out and covered up the assassinations of Wild Bill Hickok in Deadwood, South Dakota, and his only trusted friend, California Joe.” The killings were alleged retribution for Hickok’s slaying of Seventh Cavalry soldier, John Kelly. The Irish Avengers (a criminal cartel of sorts) had ties with Doc Kelley’s gang of Dodge City, Kansas, and also with Bat Masterson, Wyatt and Virgil Earp, Doc Holliday and William Bonney (Billy the Kid). Hickok settled in Deadwood, Dakota Territory, in 1876 and was shot dead in the Number Ten Saloon there during the Gold Rush. 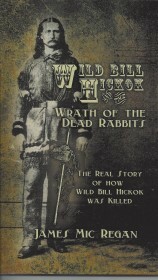 James Mic Regan’s evidence points to Hickok’s death by the Kelly killing machine. His grandfather’s stories set up Hickok’s final card game with details from a Kelly who belonged to New York City’s Irish gangs, the Fighting Sixty-Ninth Union Army Regiment, and Custer’s Seventh Cavalry. The author’s grandfather met this Kelly clan member – an old soldier named Kidd Kelly – in Prescott, Arizona around 1920. Sporting a tattoo of an impaled rabbit, he delivered his life’s story from famine-stricken Ireland to Wild Bill’s death in Deadwood. James Mic Regan relates details of Sioux Chief Crazy Horse’s surrender at Fort Robinson, Nebraska, in 1877 where he was mortally injured, supposedly in retribution for the battle at Little Big Horn. The author posits that four Kellys killed him in revenge for an earlier Indian attack on a Kelly child. (The chief officially died in his sleep after being wounded by a guard.) By 1883, Tombstone, Arizona, was the “new residence for . . . fugitives of Dodge City, Kansas.” Kidd Kelly had been there and offered candid looks at the silver boomtown where the Earps and Doc Holliday were feuding with the Clantons. By 1890 Kidd was sick and broke but eager to engage in a last hurrah to help stamp out the Indian threat from Chief Sitting Bull. The author tells us that Kidd and the Avengers were involved in the massacre at Wounded Knee and helped engineer Sitting Bull’s execution. Kidd then moseyed on to Arizona after leaving more trouble behind in Creede, Colorado. These new angles on crimes committed in an era of primitive technologies and old-time forensics – a time when tribalism’s tenets often trumped truth – enliven historical records. (The author admits that some do not match official records.) Whether they are perceived as revisionist history is up to readers. It is safe to say that James Mic Regan’s book provides plausible answers to many open questions. He rests his case.